Calvin Klein In2U For Him Eau de Toilette Spray a popular fragrance for young men, is a masculine and fresh fragrance which is perfect for evening use. 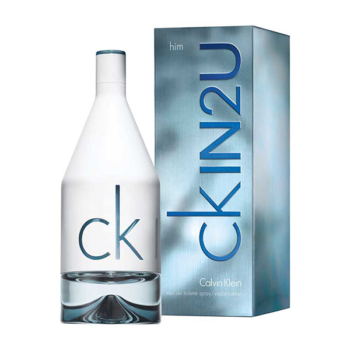 On trend and distinctive, Calvin Klein In2U Him is a combination of Lemon and Tomato. Leaf top notes, heart notes of Cacao Pod and base notes of Vetiver, Cedar and White Musk. Calvin Klein In2U Him EDT features a stylish shaped glass bottle which makes it an essential fragrance for any young.